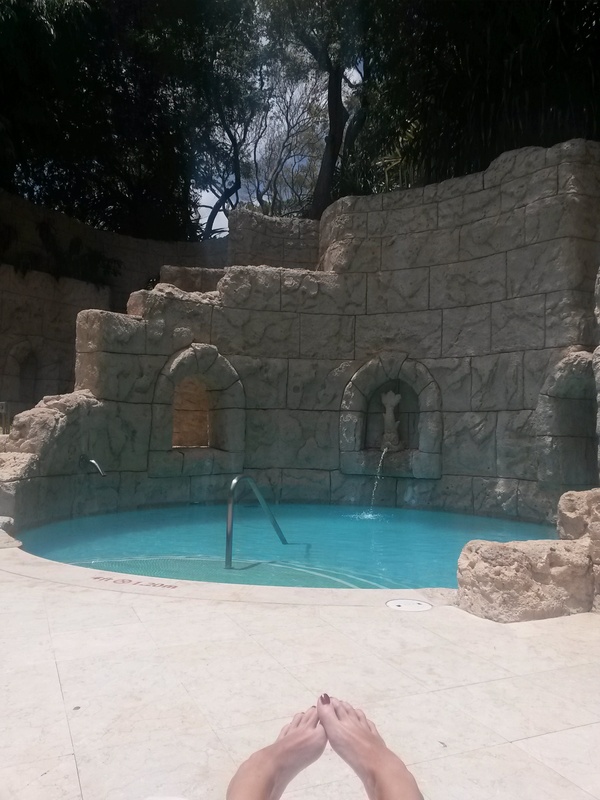 If you’ve just finished reading about the ridiculously delicious white chocolate sauce dessert at Daphne’s in Barbados, prepare for another few paragraphs of paradise because you’ve just jumped from food heaven to spa heaven! 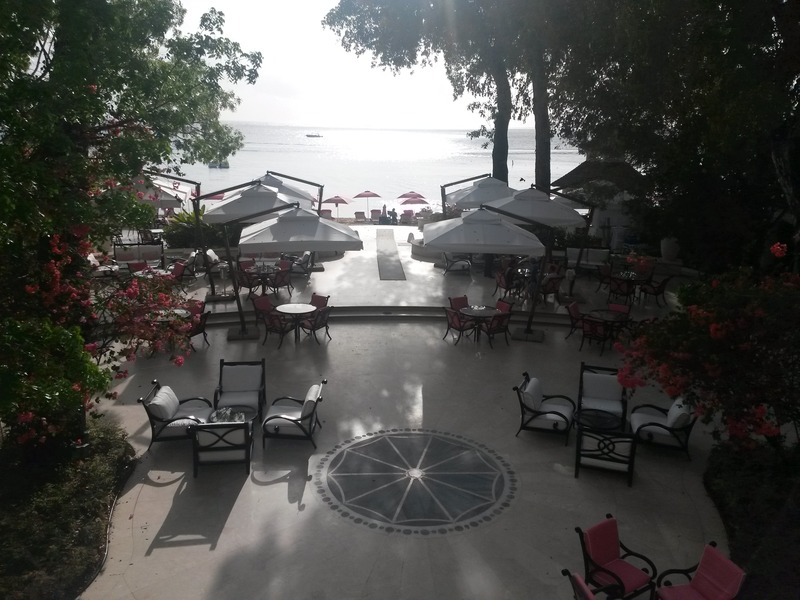 Sandy Lane in Barbados opened it’s pearly white gates back in 1961 and has been the go to spot for jet setters looking for an outrageously luxurious Caribbean get away ever since. When my Mum announced that she had booked treatments for myself, my sister-in-law and her at the famous spa, I was beyond excited! 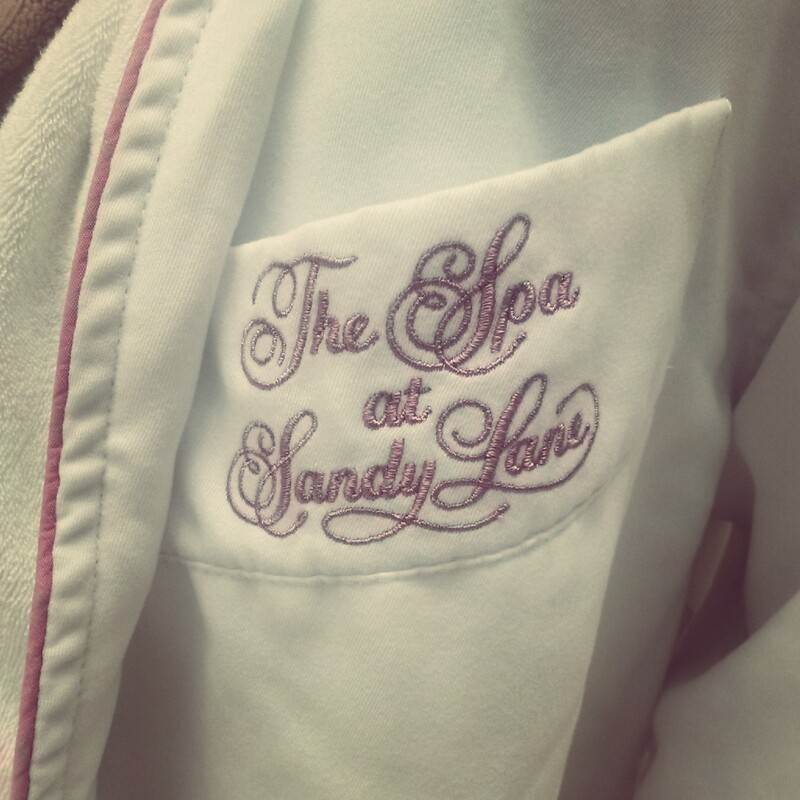 If you, like us, are not staying at the hotel you can book in for treatments and use the spa, but only until 3.30pm – I can only presume that’s when the George Clooneys and Kylie Minogues of the world appear, as they were nowhere to be seen when we were there! After giving our names at the gates, we drove into the vast grounds of the hotel and spa. The gardens were stunning and completely immaculate. As we walked towards the spa, even the AIR was perfumed and amazing! Honestly, it was as if they had planted little air-fresheners full of deliciousness about the grounds. 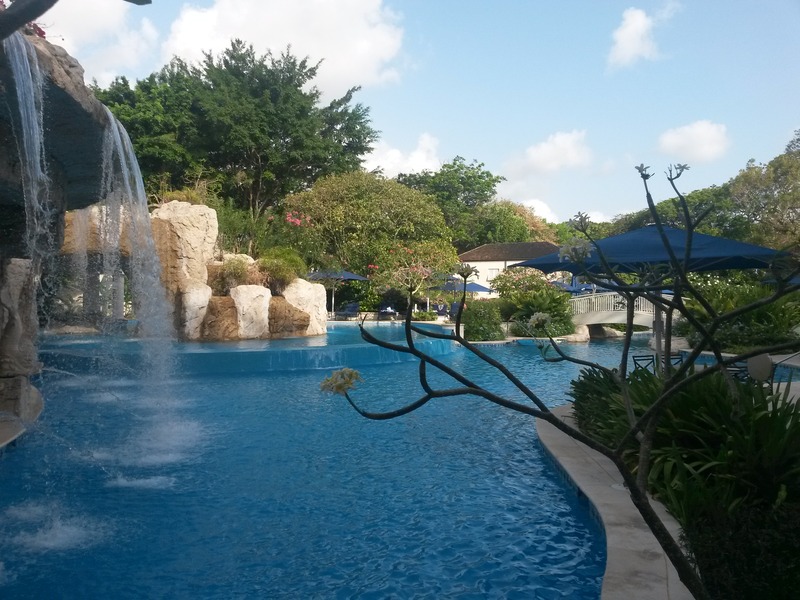 The spa is nestled behind the waterfall which fronts the enormous hotel pool. 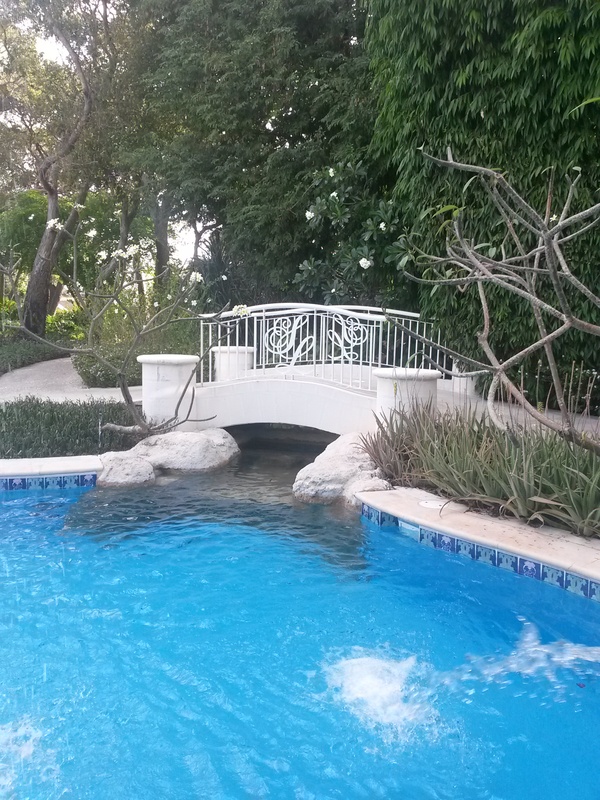 Quaint, white bridges dotted about taking you across the pool to the spa, and on the other side, the poolside bar, make it this an enticing area for hotel guests. 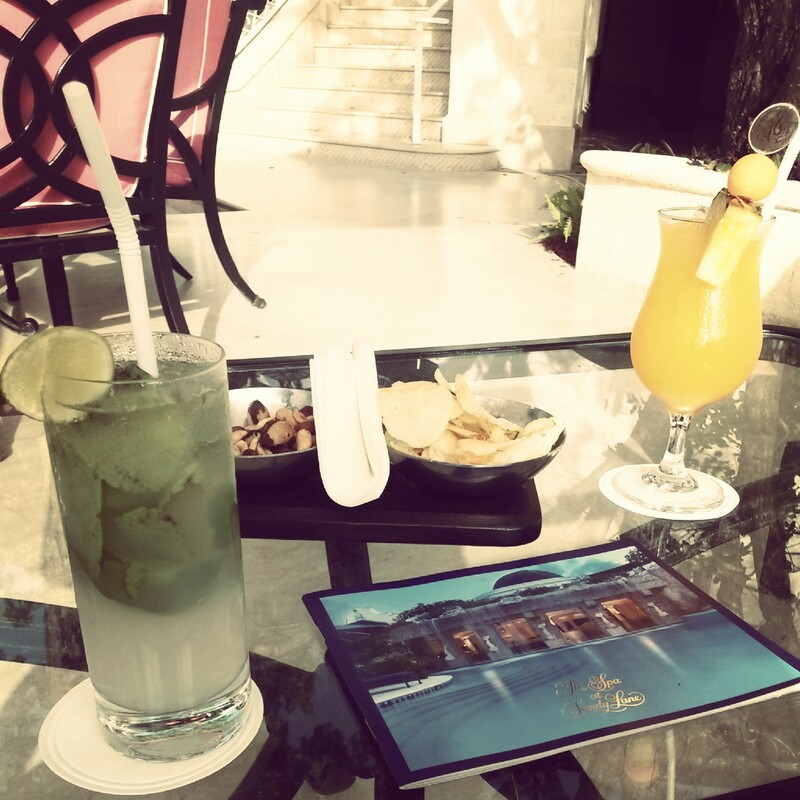 Before being led down to the spa we sat in the huge, marble atrium filling in the usual spa forms and enjoying calming ginger tea and some water, room temperature or cold, should you want the options! 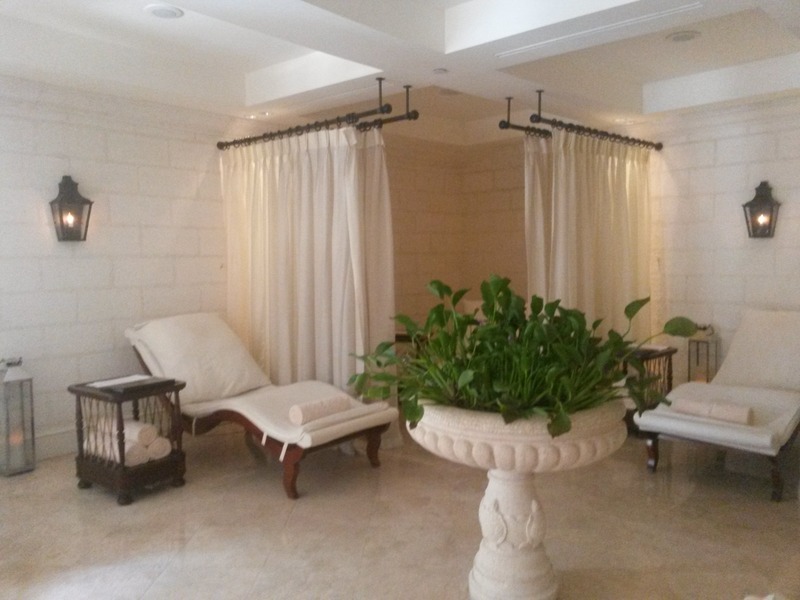 The therapists were so friendly and welcoming, and urged us to enjoy our day at the spa by making use of all the facilities before, and after, our treatments. I was booked in for a back, neck and shoulder massage. 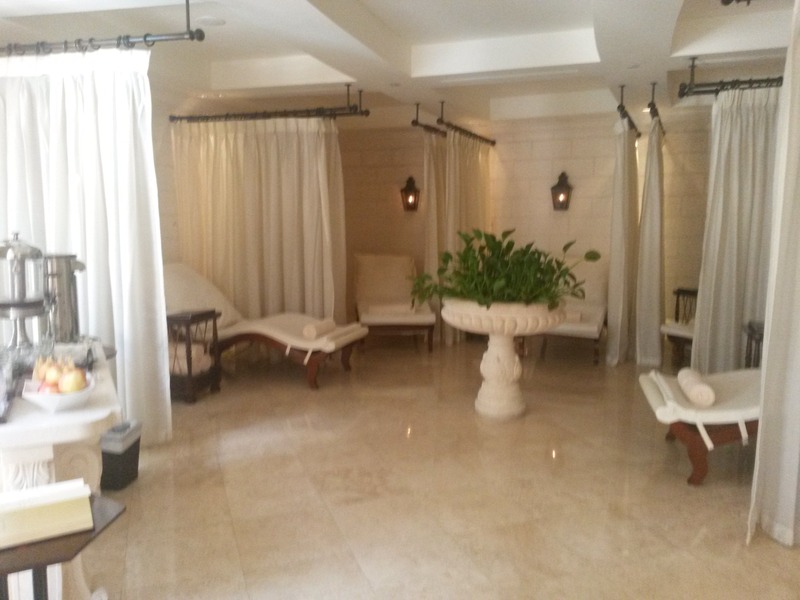 This was a Swedish style massage which also used hot stones and I was given the choice of two Sandy Lane Signature oils, Sunrise or Sunset. I chose the latter and for 45 minutes I was the most relaxed I have felt in forever! I left feeling completely de-stressed and my skin was luxuriously soft and had soaked up all the gorgeous smelling coconut oils. After my massage I had an eyebrow tint, which was just as relaxing and the therapist took such time and attention to make sure she used just the right shade of dye for my complexion and hair colour. The spa facilities are, of course, fantastic. 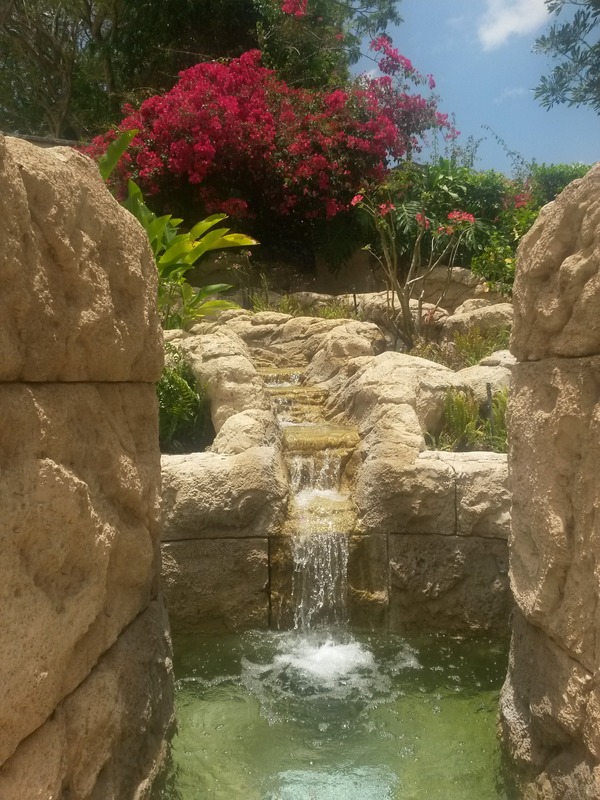 Outside there is a hydrotherapy pool complete with air beds and a jacuzzi, and on the other side of the patio, an array of experience showers, each with a different water temperature and scent designed to awaken the senses. The cold room, set at 6 degrees C, was delightfully cooling, and I must admit with temperatures outside at 28 degrees I didn’t venture into the sauna. Indoors there is a stunning relaxation room where you can sip an amazing selection of teas, enjoy fresh fruits and juices, and quite simply chill out. After our treatments we floated back upstairs to the spa cafe for lunch. 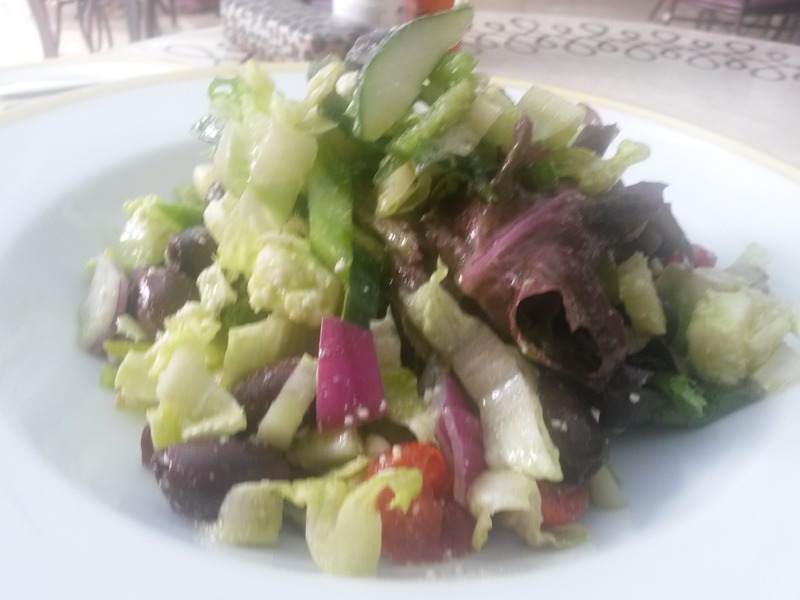 There was no need to change out of our robes which was great, and the lunch menu had lots of fresh salads and light snacks – exactly what we were in the mood for! 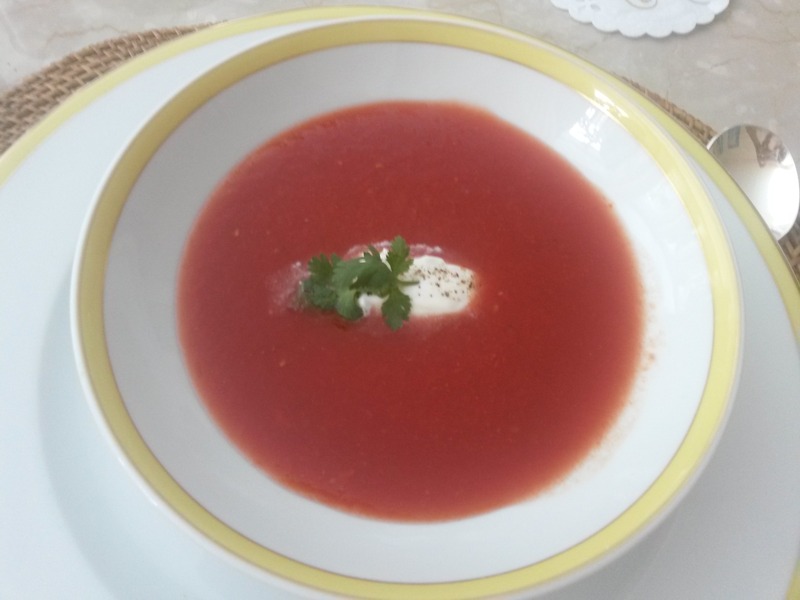 I enjoyed Gazpacho, a cold, Spanish, tomato and onion soup. Served with a dollop of sour cream, the soup was refreshing and tangy, exactly how I remembered it from my time in Spain. My sister-in-law had a california roll and my Mum went for a colourful Greek salad. 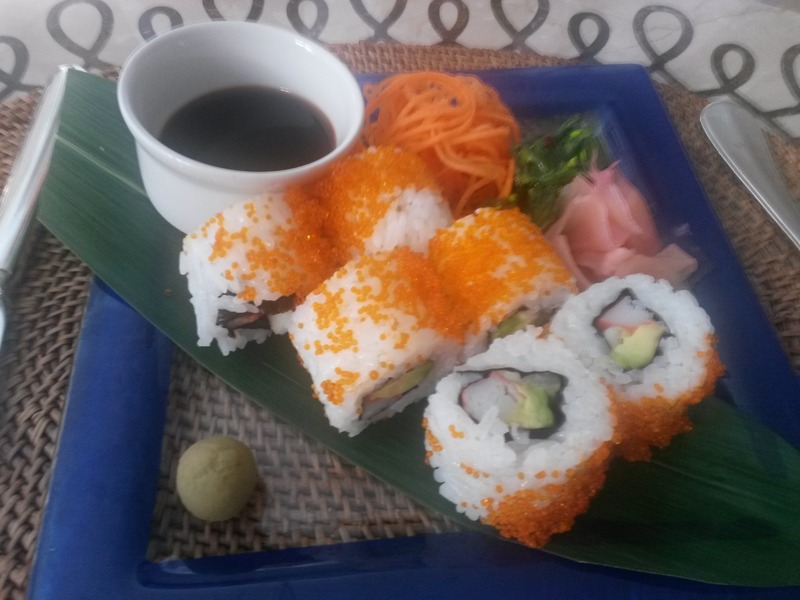 Sushi – the perfect spa snack! After lunch we retreated back downstairs for one last final hour of zen before heading across to the main hotel area for celebratory cocktails. 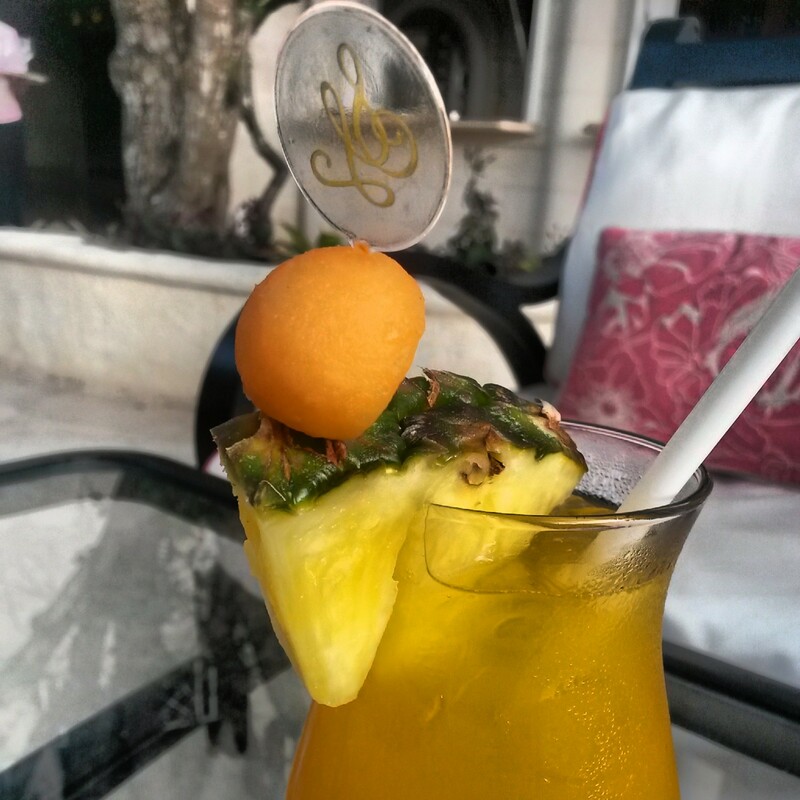 The perfect end to a perfect day… and now I am left wishing every day could spent in the sunshine and luxury that is the Barbados Sandy Lane Spa! One Mojito and one Monkey in a Tree cocktail! Love the SL cocktail sticks! Next City girl goes North!